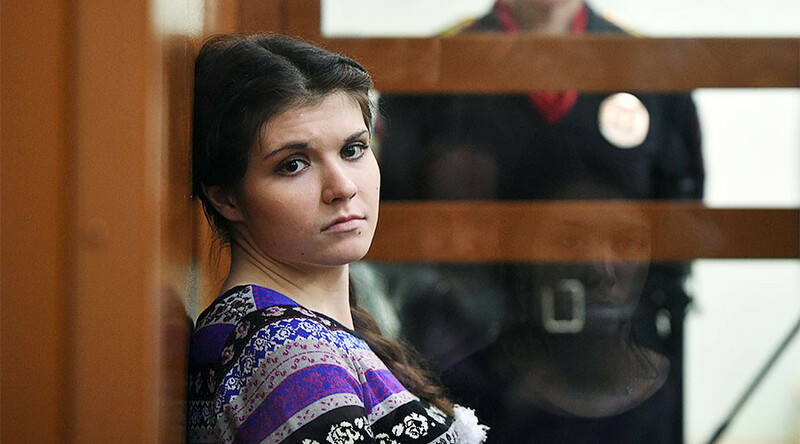 A court in Moscow has sentenced a 21-year old former philosophy student Varvara Karaulova to 4.5 years in a penal colony, finding her guilty of attempting to join the Islamic State terrorist group, which is banned in Russia. The verdict handed down by Moscow District’s Military Court on Thursday found the former Moscow State University philosophy student, Varvara Karaulova (AKA Aleksandra Ivanova), guilty of attempting to join the Islamic State terrorist group. Specifically, she intended to join an Islamic State (IS, formerly ISIS/ISIL) branch called ‘Badr’ and carry out a suicide attack in Russia, the judges ruled. Karaulova’s lawyers say they will appeal the sentence. Varvara Karaulova went missing in late May of 2015, but was soon found in Turkey, from which she intended to go to Syria to join Islamic State terrorists. She was guided by a long-term IS supporter that she had met online who promised to marry her. Airat, who goes by the name Klaus on the internet, was born in the Russian city of Kazan in Tatarstan. He is believed to be a professional recruiter and skillful psychologist who has tricked a great number of young women into joining Islamic State by promising them a happy family life. Karaulova was detained by Turkish law enforcement and returned to Russia, where she was questioned, but not charged. The story received a lot of attention in the media and the girl even officially changed her name to Aleksandra Ivanova to evade unwanted publicity. However, she maintained contact with the terrorists after returning to Russia and was detained again and charged with conspiracy to join a terrorist organization in October and November of 2015. Karaulova’s defense team insists that her initial contact with Islamic State had not come as the result of her political or religious beliefs, but, rather, a teenage romance. Her lawyers also claim that the girl continued to communicate with IS from Russia at the request of and supervision by Russian special services. In December of 2014, Russia passed a law officially designating Islamic State as a terrorist group, which makes having any dealings with them a crime. In addition, two major Russian Muslim unions have issued fatwas denouncing Islamic State as enemies of Islam and calling for all of its members to be punished.